Though you might know that not all breakfast syrups are created equal the folks who produce maple syrup say it isn’t clear that some “maple” flavored food products don’t contain the real thing, despite their labels. The Vermont Maple Sugar Makers’ Association and nine other producers’ groups sent the Food and Drug Administration a letter [PDF] saying that some foods have the word “maple” on the label despite not containing the real thing. 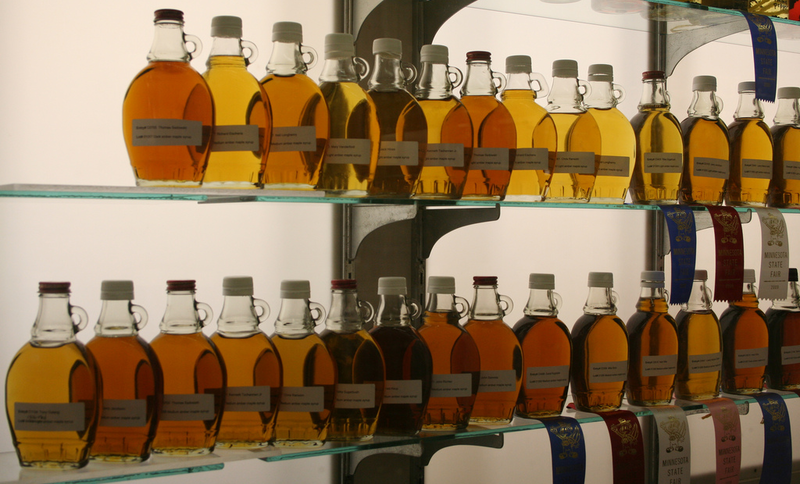 Such misbranding deceives consumers and hurts those producing real maple syrup, the groups say. Along with the International Maple Syrup Institute and the North American Maple Syrup Council, the groups asked for a federal enforcement action that would either force companies to get rid of any maple branding from their products if they don’t actually contain the sweetener, or add maple syrup to them to make the labels true, reports the Associated Press. In the letter, the groups call out nine products as examples of items that are misbranded, including Quaker Oats Maple & Brown Sugar Instant Oatmeal and Hood maple walnut ice cream. Those products are misbranded in violation of FDA regulations, the letter says, because maple syrup is not listed on their labels. Quaker Oats had no comment on the accusations and a Hood spokeswoman couldn’t confirm to the AP whether the ice cream gets its flavor from real maple syrup or not. The FDA says it’s taking a look at the letter and will respond directly to the groups.